I can’t believe I’m back again with ANOTHER remodel for the One Room Challenge™! If this is your first time here, WELCOME! I’m Jenna and I live just north of Boston with my husband, Brian and our almost 2 year old son, Cian. We moved into our current home last December and have been busy working away on updating every inch of it since. You can learn more about me in the About Me section of the blog. 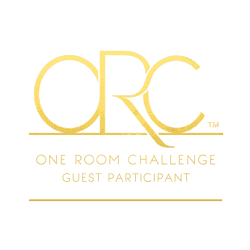 If you’re not already familiar with it, the One Room Challenge™ is is a widely anticipated biannual event held every April and October. It’s hosted by Linda at Calling it Home and she challenges bloggers to transform a room in 6 weeks. My first go round with the ORC was last April when I renovated my Powder Room. While the whole process was a little stressful, the results were so dramatic that the ORC bug really bit me and I’m back at it again! I’ll be posting updates right here on the blog every Thursday, so make sure you’re signed up for email updates so that you don’t miss a thing! Between the glued down floor tiles, wood panelling, barred windows and filthy fireplace I think we had enough reasons to NOT want to spend time down here. With currently only one functional living room, it’s definitely time to add more living space to this house. Soon enough this will be a fabulous new family/entertaining space. And I can’t wait. Of course, Brian has big plans the host football parties down here, too! I would describe this design as having a transitional aesthetic – light and bright with some rustic elements thanks to the distressed wooden furniture. I’m so excited to have partnered with Raymour & Flanigan who will be providing a lot of the furniture for this room makeover. The coffee table, side table and TV stand above are all from them. I’ve also already picked up a really pretty mirror from their decor section. I’m pretty sure I’ll be sticking with my choices, but since they offer 3 day delivery – I’m not in a huge rush to make a final decision just yet. I’m also really excited to incorporate a navy blue couch into the design while keeping everything else bright and airy. I’m not sure if I’ll be accenting the space with touches of gold, silver or sticking with the oil rubbed bronze. Those little details will be figured out as I start to see the space come together. We did decide to fully carpet the space (and use the thickest padding available! ), since the kiddos will be using it. Obviously, the hideous wall panelling will be gone and replaced with new drywall and I’m hoping to get some recessed lights installed along with brand spanking new windows. Did you spot the stunning fireplace inspiration? The one in the design board above was a fireplace makeover by Monica Wants It. As soon as I saw it, I was in love. I’m hoping to recreate it as best I can. 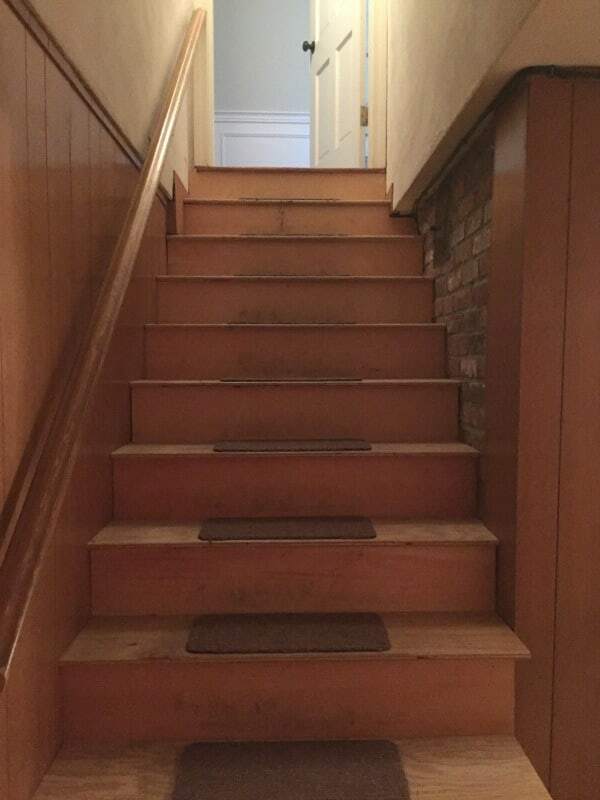 By the way – did you notice this door next to the stairs? We’re ALSO going to finish this section of the basement – and create a playroom for Cian. The plan is to add walls right to the lally column, that way we still have access to the electrical panel, oil tank and the large storage area that runs under the kitchen. I’m a little worried that it might be too narrow of a space but I think it’ll be fine for a playroom. We will need to create a little room to house the boiler/water tank too. Below, you can see just how much storage we’ll still have! This alcove runs the entire length of our kitchen, which was an extension to the house at some point in the past, hence the raised floor. While this side of the basement WILL be “finished” it won’t be within the scope of the 6 weeks to furnish and decorate it. That will have to be for another time. 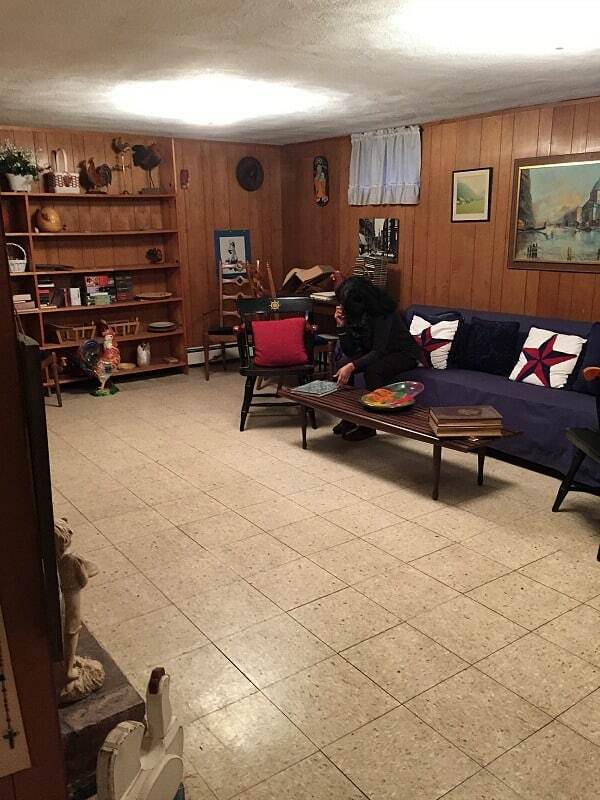 I will, of course, share the finished (undecorated) space with you during the reveal, though. The work starts today. Demo day is always a blast! Now I’m heading over to see what the other Guest Participants are planning. I can’t wait to see what amazing transformations are in store for the next 5 weeks! Disclosure: This post may include affiliate links. While I have not been compensated to write this post, some of the products that will be featured in the upcoming makeover have been provided to me free of charge. You can read my full disclosure policy here. Jenna, what a great space and a great candidate for the ORC treatment. I can’t wait to see the finished product, and all the in between photos too! Thanks so much, Lynn! Luckily we have the weekend off as we can’t do much until our electrician is finished!! I hope you have a great weekend, too! JENNA! This is going to be amazing. 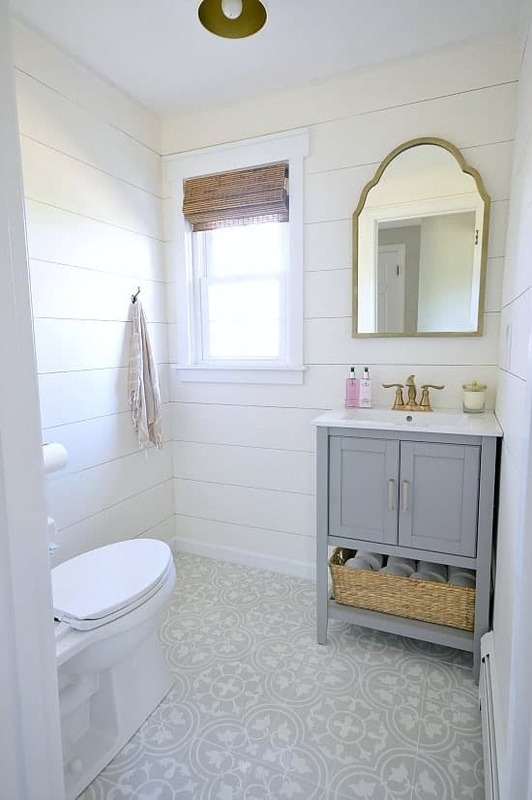 Your last powder room transformation was awesome and one of my favorites!! I can’t wait to see this all come together. So glad we’re jumping in together again! You’re gonna rock it! Oh my gosh, that blue couch is going to be so gorgeous! And I can’t wait to see your fireplace makeover! 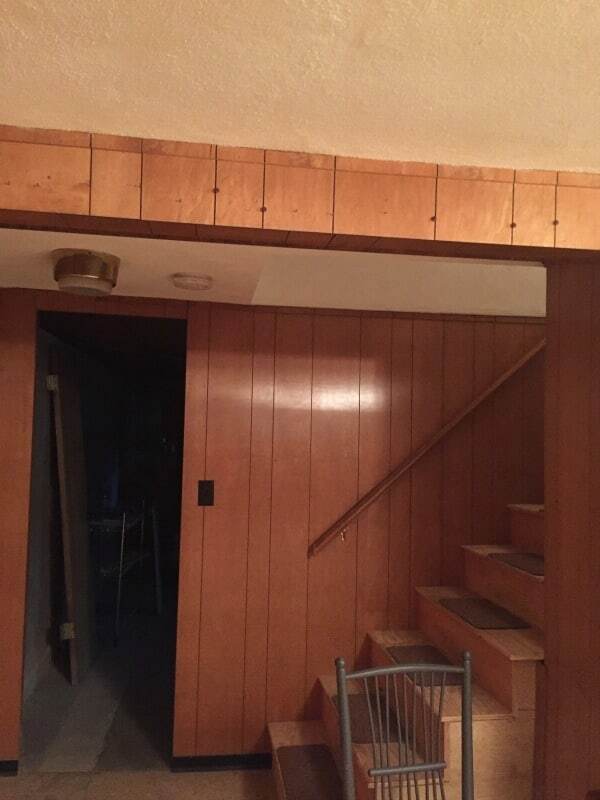 This is going to be one heck of a before and after! Oh my goodness Jenna I am DYING to see these before and afters. And I LOVE basement spaces and think they are so cozy. I live in Oklahoma so we don’t really have basements but I love them. Can’t wait to follow this journey with you and I love your plans! This is going to be so gorgeous! I can’t wait to see your transformation!! Oh my, Jenna, this is quite the undertaking! Cannot wait to see what you do with the space – your powder room turned out so lovely last go-around, I have no doubt you’ll knock the basement out of the park! 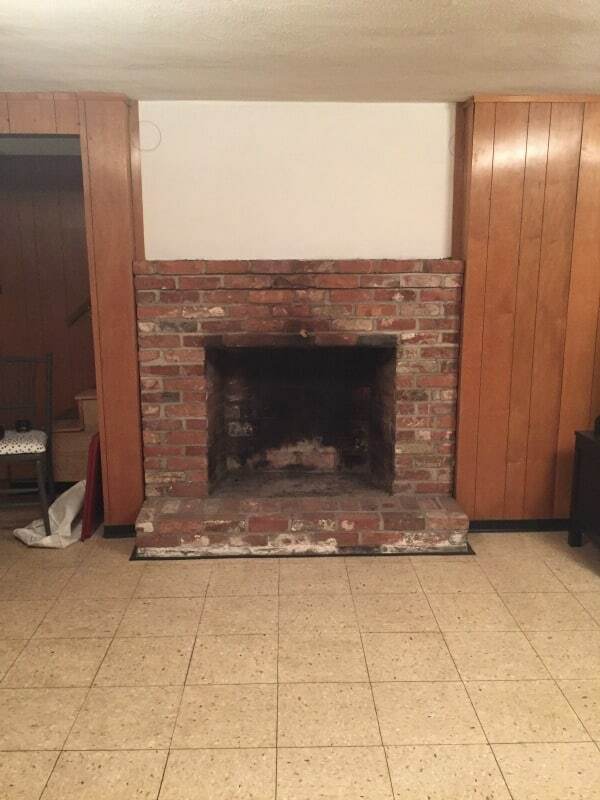 We’ll also be doing a fireplace renovation like you in our living room, so I’m super stoked to have someone else tackle that monster at the same time!! Jenna, this is a project for sure! I can’t wait to see the transformation. It’s going to be a big one!! 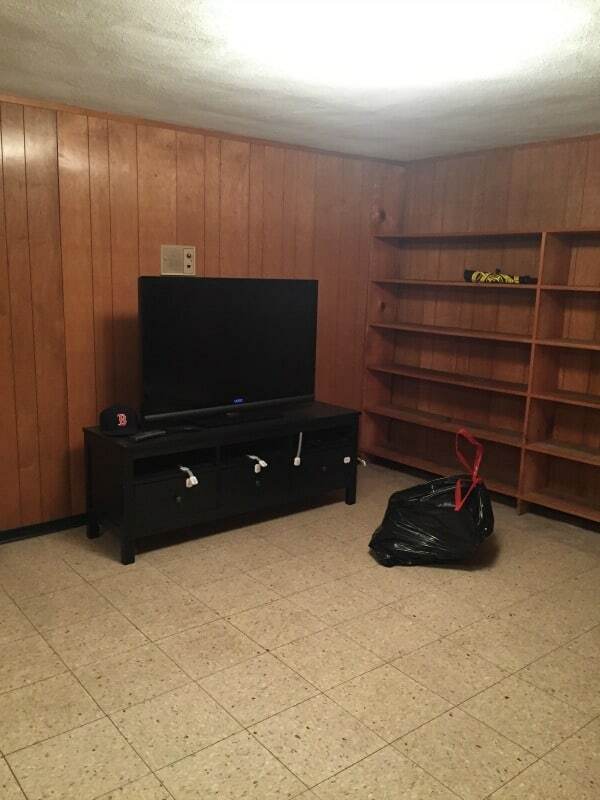 Thanks Angela – the extra living space is much needed! Jenna, your bathroom transformation is AMAZING!!! 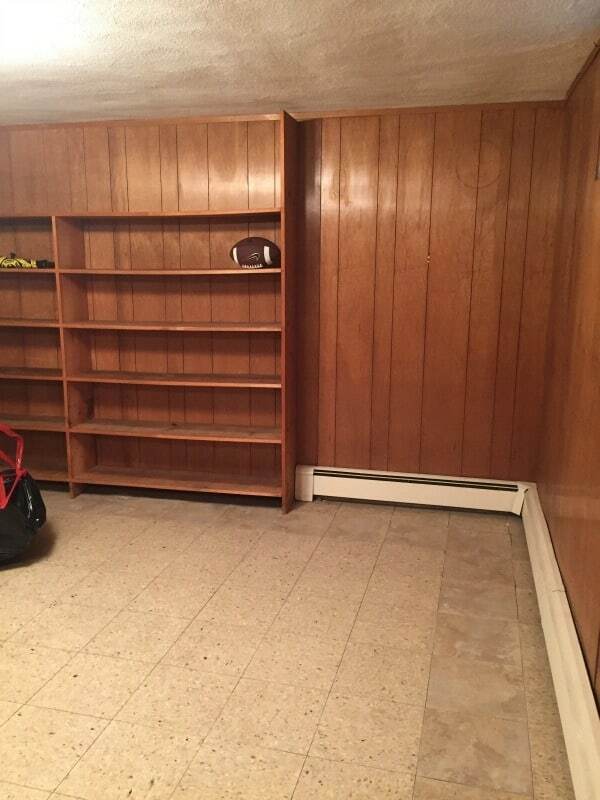 Can’t wait to see what you do with your basement! Thanks Jen! If this turns out half as well as the bathroom, I’ll be happy! I’ve always loved Monica’s fireplace, too! Something similar is going to look amazing in your space. Thanks Melissa! I’m most excited about the fireplace! Thanks so much, Kelley! Fingers crossed that we haven’t bitten off more than we can chew! !